So I've been continuing to improve and expand the little beacon project I've been working on as a winter project this year. 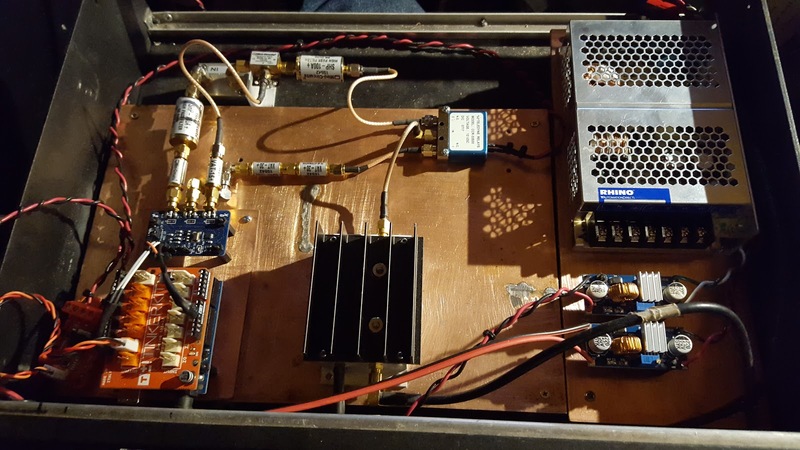 The beacon is now capable of autonomous operation on 4 ham bands 50 MHz, 144 MHz, 222 MHz, and 432 MHz. It's also able to operate on 902 and soon 1296 as well. However, I'm awaiting funds to obtain a few more circuit parts needed to make those autonomous in the same loop it operates on now. I've already figured out and tested 902 MHz. The code is fairly simple for the Arduino and the new Tinkerkit Shield, and Tinkerkit mosfet. The mosfet turns on and off a 12vdc relay which switches the output of the Si5351a between two RF paths currently. When I add in 902 MHz and 1296 MHz I'll need yet another relay to accomplish that. These 12vdc relays are fairly cheap and can be found on Ebay for < $20 each. They're good for about 1 million relay cycles per DowKey. Which in the loop I'm using would give about 2 years of life if they last that long, or more if they extend past that. 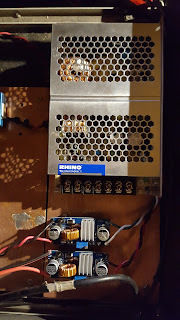 I will eventually replace these RF relays with something that has a longer life span, but for now and for this simple small beacon project this is acceptable considering they're price I think. Anyway above is a video that shows all of this action. I am using 3 SDR radio's to demonstrate the beacons operation so that you can see how the 'loop' operates from one band to the next. The CW being generated is 30 wpm (words per minute) which is fast for a beacon, and I'll likely slow this down to 24 wpm. But for the sake of a shorter demo I sped it up. The single antenna being used is a simple 25 MHz to 1300 MHz Discone antenna. The output power is approximately 100 mW (milliwatts). These antenna's can handle a fair amount of RF power and they range in price but most are < $100 USD. 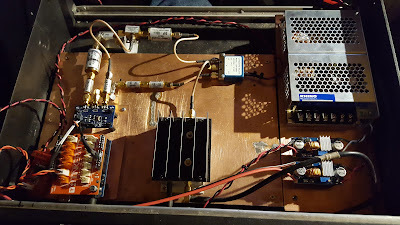 I have a small 1.5 Watt RF amp (shows in other video's on this blog) which operates from 0-500 MHz fairly flat across that range. 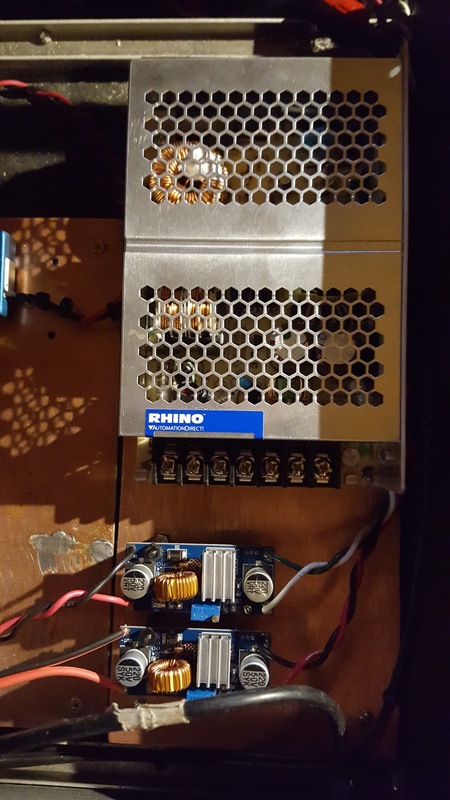 I've also ordered a similar 1.5 Watt amp that operates from 800 MHz to 1300 MHz and will be used in the 902/1296 section of the beacon. Once those are added into the loop this will be a 6-band beacon all being run from a single Arduino and Si5351a (with various frequency multipliers).